Thousands years ago when Hazrat Ibrahim left his son Hazrat Ismail (A.S) and wife Hazrat Hajira in a deserted and dry mountainous area to fulfill the Order of the Lord, infant Ismail (A.S) felt extreme thirst and started crying. When mother such a critical situation of her son she ran in between mountains of Safa and Marwa in order to fetch water for him. Nevertheless, the Almighty had some other plan and He had planned this for a special purpose than how He might have left his loved ones thirsty? Than a miracle happened which is going even until now in today’s modern era. 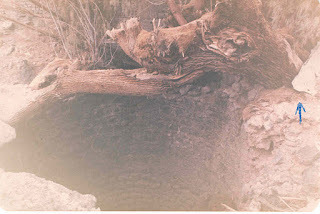 On the place where Ismail (A.S) was hitting his feet with earth, a spring broke out of the hard rocks. An area where there was no sign of greenery or water, the spring of water was set their to quench the thirst of Hazrat Ismail (A.S) and in spite of passage thousands of years this spring is continuously flowing without any break. This splendid spring is known as Aab-e-Zam Zam. Daily thousands of Muslims quench their thirst with this Holy water and use it as cure for many incurable diseases. The water from this spring is also being supplied to Masjid-e-Nabwi in Madina so that people over there could also get benefit from it. But in 1971 an Egyptian Dr. published his research article in European press claiming that Holy water of Zam Zam is hazardous for health. According to him, the city of Makkah is like a cup and situated much below the sea level. So the drain water of population situated over the mountains is contaminating the Zam Zam well/spring. This was a great chance fore European media to hurt feelings of Muslims, so they started a propaganda campaign. They were aware that Muslims have been drinking this water from centuries for satisfaction of soul and gift this holy water to each other. When Shah Faisal King of KSA came to knew about this propaganda he expressed anger over it and ordered Ministry of Water to conduct tests over Zam Zam water in its own laboratories as well as send samples of water to world renowned laboratories to test its quality. Ministry of Water chose a Pakistani Scientist/Chemical Engineer working on the project to utilize sea water as drinking water. Pakistani engineer met administration of Makkah after arriving there, he and his team was taken to the well of Zam Zam. 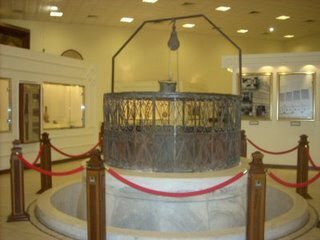 This well is situated under the floor of Masjid-ul-Haram in the form of 14×18 feet pool. Two members of the research team were sent into the pool, they were astonished that the depth of the pool was not more than 5 feet. They tried their best to find any crack or hole in order to ascertain the source of water but in vain, while thousands gallons of water were daily being pumped out of this well. The research kept on working because Shah Faisal had demanded a full report. The samples of water were forwarded to international water research laboratories. When the team could not find any source of water they decided to use heavy water pumps that were being used to pump the water to the storage tanks in the Masjid-u-Haram and other parts of city. The plan was to run all the heavy pumps simultaneously so that the water level drops and the source of water could be discovered. The heavy electric pumps started pulling the water with full power but there was neither any drop in the water level nor any unexpected movement in the base. In the second attempt the two members of the research team again entered into the pool and the pumps were started, they reported that they felt that the sand under their feet was moving. The amount of water that was being pumped out by heavy pumps, same amount of water was being supplied from the soft sand bed. The water that was coming out of sand bed was equal at all the points. During this whole activity Makkah administration reported that within the city there are many historic wells which have been now dried up since centuries ago. Research team returned back to Jeddah and started preparing a exhaustive report. Within few days the reports from other international laboratories were also received resembling that of Saudi laboratories. In the report it was said that the water of Zam Zam slightly extra amount of calcium and magnesium as compared to normal water used in cities, moreover the water has a self destructive natural system to kill germs, especially the presence of fluorides makes this water refreshing. Due to these characteristics one does not feel heavier even drinking large quantity of this water. However all the test reports agreed that Zam Zam is the best water for drinking and health. The report was presented to Shah Faisal and he ordered this to be published in all the European press so that the report of Egyptian Dr. could be negated and his real face could be unveiled who adopted such cheap way for getting famous. During preparation of this report in 1971 the sample of Zam Zam water was stored in Jeddah laboratory but in spite of passage of such a long time there has been no change in characteristics or taste of this water. This is a miracle of the Allah that neither change of time nor any germs had any affect over the biological characteristics of this water. While in normal life if the water stays on some place for sometime we say that several algae or other forms of life grow in it, but this does not apply to Zam Zam. In spite of all of the research it is still a myth that if water of Zam Zam comes from Red Sea which is 75 KM away from Makkah than why other wells which are much more deep than Zam Zam have dried up?